For more than thirty years, Wendy Johnson has been meditating and gardening at the Green Gulch Farm Zen Center in northern California, where the fields curve like an enormous green dragon between the hills and the ocean. 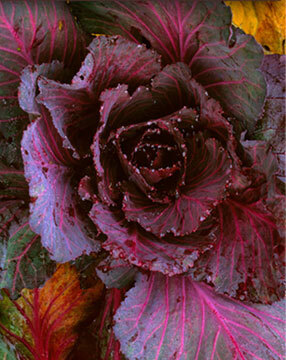 Renowned for its pioneering role in California’s food revolution, Green Gulch provides choice produce to farmers’ markets and to San Francisco’s Greens restaurant. 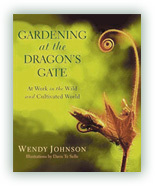 Now Johnson has distilled her lifetime of experience into this extraordinary celebration of inner and outer growth, showing how the garden cultivates the gardener even as she digs beds, heaps up compost, plants flowers and fruit trees, and harvests bushels of organic vegetables. Johnson is a hands-on, on-her-knees gardener, and she shares with the reader a wealth of practical knowledge and fascinating garden lore. But she is also a lover of the untamed and weedy, and she evokes through her exquisite prose an abiding appreciation for the earthboth cultivated and forever wildin a book sure to earn a place in the great tradition of American nature writing.